I will always leap on an opportunity to do some work for Larsen and Brusgaard, yet when squaring up to a review of their newest releases - the Ares2 and the Alfa - I found myself wondering exactly what I could contribute that people don’t either already know or could easily find out for themselves with a quick trip to the LB website. Sure - I could publicly express my admiration for both the quality of the units and the constant enthusiasm with which Larsen and Brusgaard support the skydiving community at large, and I could dutifully list the features and functions of the gadgets in question - but without finding something with which I can contextualise it’s usefulness I would likely feel guilty of journalistic hackery. 1. Along with all the functions available in the Viso2, Larsen and Brusgaard’s new units are bigger and tougher - constructed form aircraft grade aluminium and hardened glass. The buttons cycle the menus and options as normal, and at the front end act directly to speedily set an altitude offset and operate the backlight. Also, it feels really nice to hold. 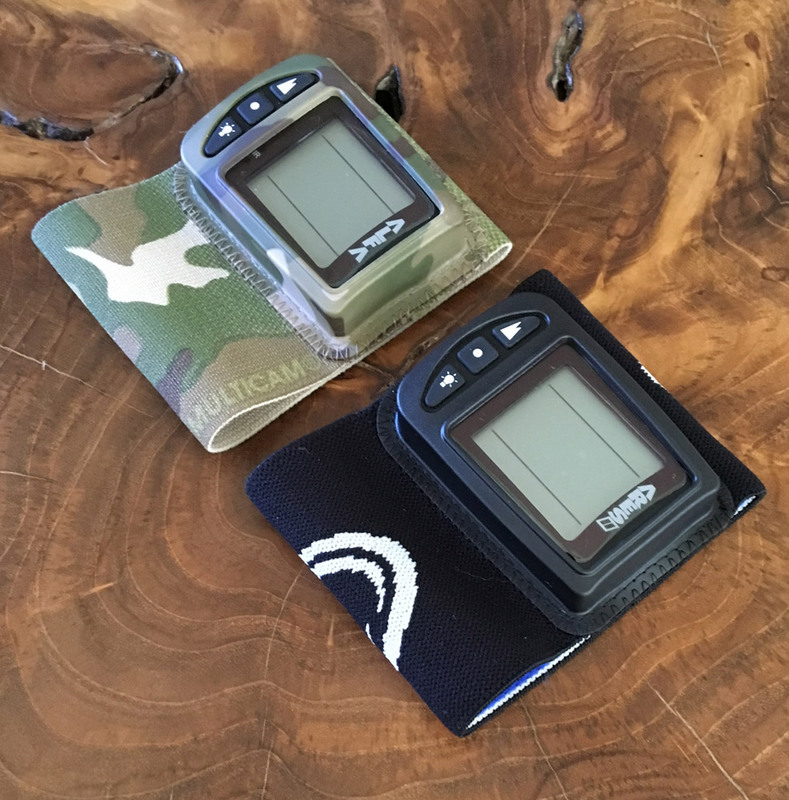 The Ares2 is the civilian version of the Alfa - an upscaled and ruggedised visual altimeter designed for military use that includes some extra functionality specific to jump operations. With a little luck I will never be faced with parachuting into combat - but what relevance can I apply when approaching these devices from the other direction? Year upon year of freefly competitions - where beeps alone reign supreme - have programmed me to view at my altimeter much less frequently than I really should - and possibly therefore am not in the best position to elaborate the many qualities of the new visual thingumys. However - serendipitously, I was actually right on the doorstep of an ideal testing environment where I would need to reverse my instincts and operate a visual altimeter with a level intensity such as never before - an accelerated freefall instructor course. Perfect. 2. The Altiset is the required gizmo for military jumpmasters to batch adjust the altitude offset of Alfa units between take-off and landing. Fancy. Also probably important. As well as a bunch of other stuff on the ground and in the plane, to earn an AFF instructor rating you need to pass three out of four evaluation jumps. The most crucial part of each of these descents is the procedure from the altitude at which the evaluator-as-student finishes their freefall practice and moves through the deployment process. During this ‘bottom end sequence’ the instructor candidate must act precisely and accurately within very specific altitude windows - stacked one upon another - that last less than three seconds each. Get things in the wrong order? Fail. Too low? Fail. Too high? Fail. Maintaining altitude awareness throughout the whole jump is important, but for the bottom end sequence it is absolutely crucial. 3. 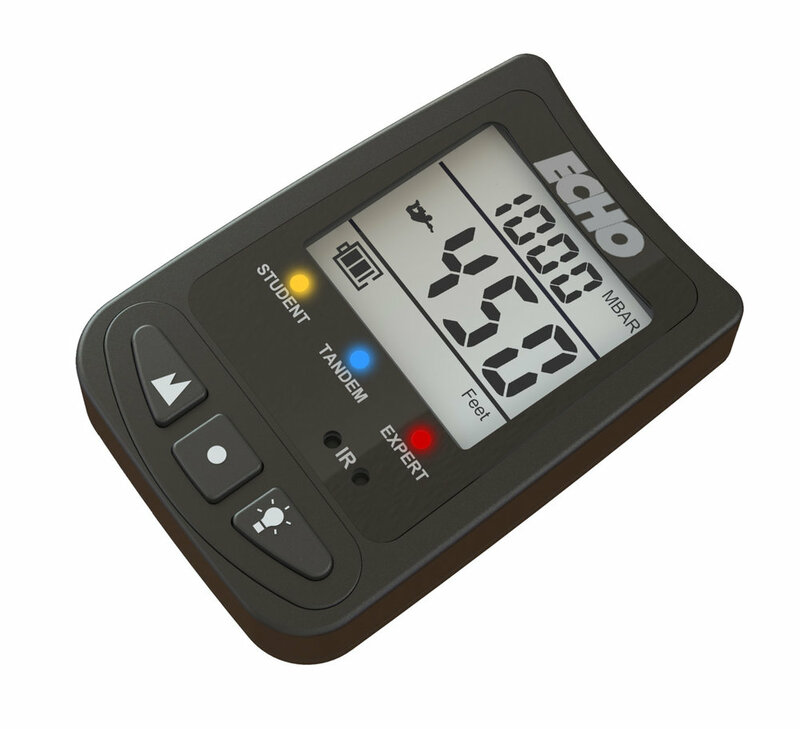 Also available is the Echo. This is an audible altimeter that follows the same design principals that is also controllable via the Altiset. While it has been created for military concerns - the interesting part is devices that communicate with each other are looking increasingly like the very near future across all of skydiving. Much of the writing I produce for the airsports industry involves the recurring theme of utilising anything and everything at your disposal to squeeze the most you can from each and every jump. Skydiving is expensive and happens fast - so every area in which you can find even the smallest physical or mental advantage has real value. Aside from the odd freefly competition nail-biter, these AFF evaluation jumps were the most pressure I have ever felt on a skydive - and as such, saddling up for the test with a bigger, more visible altimeter made me feel a little more confident both on the way in and throughout the course. 4. It might not seem that much bigger, but I found myself surprised at how much easier it is to see - both directly and peripherally - when I needed to know. I didn’t need that fourth jump. Maybe because of experience, possibly due to practice and perhaps simply down to good tuition. Most likely a combination of all these things. But also just maybe because I could see my altimeter a bit better, from a little further away and at a slightly wider angle. It takes no stretching of one’s imagination to feel if that day had played out differently, a small advantage like this could well have meant the distance between passing the course or not. 5. Success! 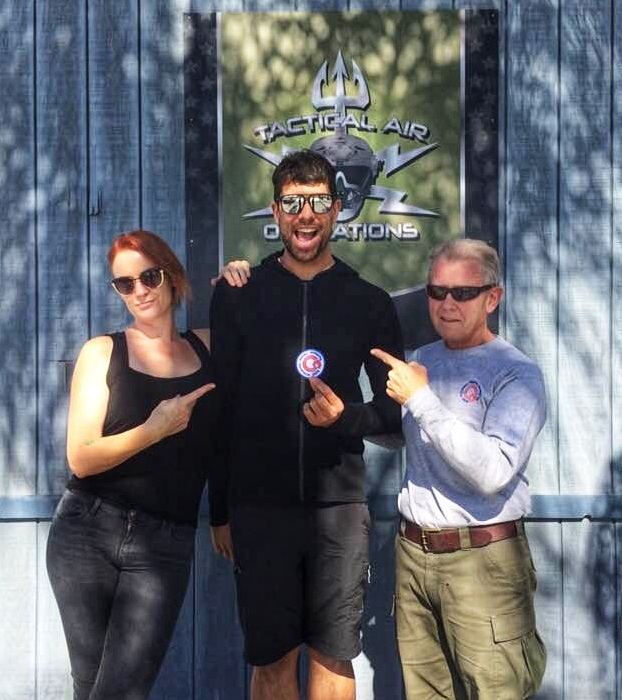 Jay Stokes (right) is a man who has done 640 skydives in 24 hours. A quick scan of any modern group freefall picture underlines the majority vote and market share Larsen and Brusgaard enjoy, with the familiar stretchy arm band wielded upon the forearm of a great many jumpers. While the new Ares2 is likely not going to replace their most popular digital altimeter - the Viso2 - after using it a in high pressure situation I can fully embrace its value and relevance as a thing that exists as an option for those who desire or require such utility. It also looks a little bit like it was designed by Batman. I am quite tough on things too, an effect created from equal parts bigness and clumsy. I am trying to be better about it this but have trashed more that a few gizmos and gadgets over the years by being a lummox, and something that is more likely to resist getting smashed from me being stoopid is quite appealing.